“This is the most fantastic film . Support Little Shoppe of Horrors! In this changing age for print magazines, we need your support more than ever. We’d like to give you many more issues filled with interesting articles and in-depth interviews. We’ve been at it for 44 years. Help us go on for a few more! 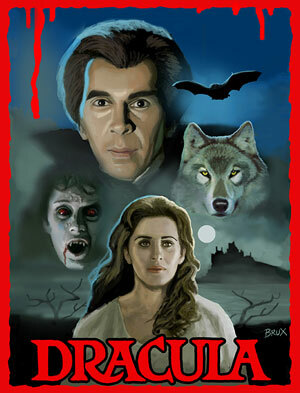 The Making of Universal’s 1979 Dracula. In 1979, Universal Studios and producer Walter Mirisch, going from the massive success of the revival of Dracula on Broadway, with Frank Langella as the Count, committed themselves to a big budget, opulent, version of both the play and the novel. 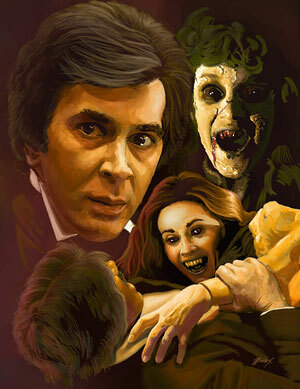 From that came a beautiful, wonderfully presented and acted Gothic horror-romance. 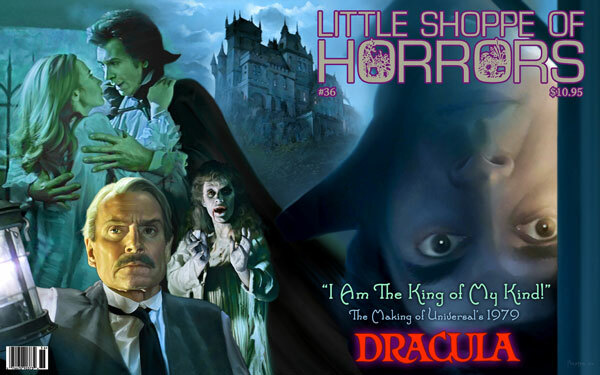 In LITTLE SHOPPE OF HORRORS #36, we present an in-depth study of how the play came about that lead to the film. And a complete production history of the filming. - W.D. (Rick) Richter (Screenwriter, who let us borrow his hand written scripts and script notes/production meeting with Mirisch and Badham). Laurent Bouzereau, Bruce G. Hallenbeck, Sam Irvin, Dennis Lynch, Michael Augustine Reed, Gary D. Rhodes, Kevin Shinnick and Markus Wallasvaara. Front wraparound Cover by Rondo winner, Jeff Preston. Inside Front Cover by Rondo winner, Mark Maddox. Inside Back Cover by Rondo nominee, David Brooks. Lots of original artwork and rare photos! Outside the USA yet, sorry.